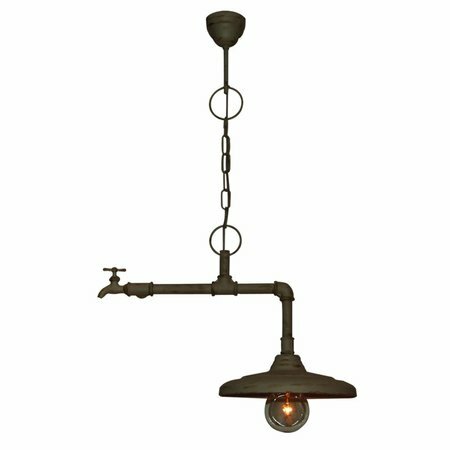 Are you looking for an industrial style pendant light? 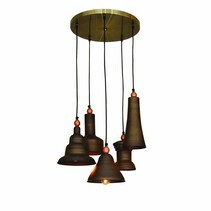 This pendant light dining room rust brown, beige vintage 500mm E27 is perfect to enlighten your bedroom, kitchen or living room. 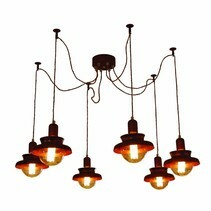 Does this pendant light dining room rust brown, beige vintage 500mm E27 fit in your interior? Continue reading then. 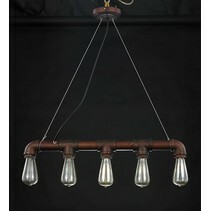 This pendant light dining room rust brown, beige vintage 500mm E27 is a real sturdy lamp! 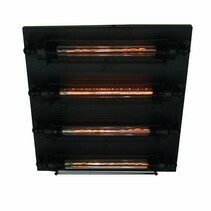 It's equipped with a water pipe tube at which on one side is a valve and at the other side the lamp shade. This industrial pendant light can be obtained in rust brown or beige. The dimensions are : width : 50cm, height 85cm (until the ceiling), diameter shade : 30cm. 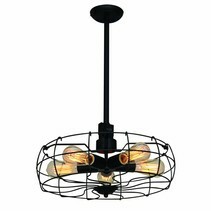 This vintage pendant light is fixed with a chain on which are 2 rings attached. 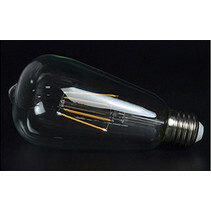 It fits perfectly in an industrial environment and is much used as loft lighting, living room lighting or restaurant lighting. 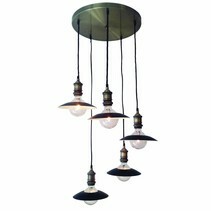 You can buy easyly this pendant light dining room rust brown, beige vintage 500mm E27 at My Planet LED. You can choose yourself the payment method. The possibilities are large. Do you have more questions? 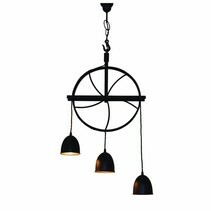 Please contact us via mail (info@myplanetled.com) or by phone (+32) 57 466 866 in order to obtain more information about this pendant light dining room rust brown, beige vintage 500mm E27.